GET LOST WITH JIN IN A WORLD OF EXOTIC ANIMALS, LANDSCAPES, RIVERS, WARRING GROUPS, AND AN EVIL RULER. The novel came to the author in a dream. When prisoners are experimented on by the ruler of the Americas, after a nuclear war, their cells are grafted with cells and neural tissue from animals of the Amazon. 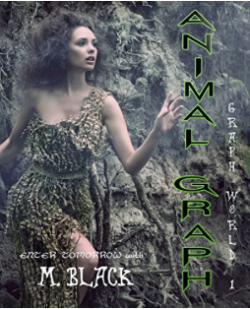 Release to be hunted in the Amazon, to train soldier, Jin finds another Graph like herself named Adan and the two have to survive the Amazon if they are going to live.